A Tony Gwynn-themed sports bar will open at the Hollywood Casino Jamul-San Diego, which is under construction in the East County, the Jamul Indian Village of California and Penn National Gaming announced Tuesday. Tony Gwynn’s Sports Pub will feature sports memorabilia from the baseball Hall of Fame player for the Padres. 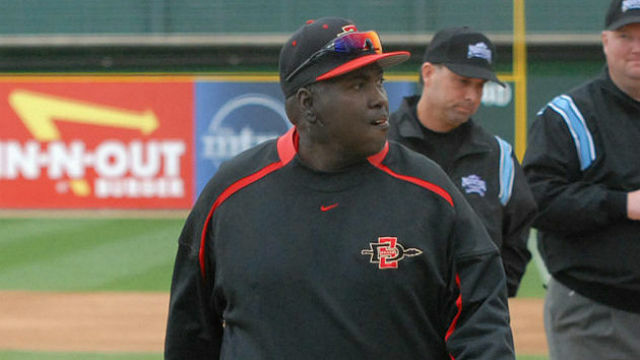 Gwynn, who was also a San Diego State University player and head coach, died of cancer in 2014. “We are thrilled to partner with the Gwynn family to showcase Mr. Padre’s incredible collection of awards, uniforms, and personal mementos for our customers to enjoy,” said Richard St. Jean, casino general manager. Memorabilia will include Gwynn’s Gold Glove and Silver Slugger awards, his personal narration of career highlights, game-used uniforms and equipment. The $400 million casino, which overcame significant community opposition, is scheduled to open in the middle of this year along state Route 94. The developers also announced other dining options at the facility, including a steak and seafood restaurant, a Chinese restaurant, a taco and burrito shop, a Ruby’s Diner and Pizza Port eatery.